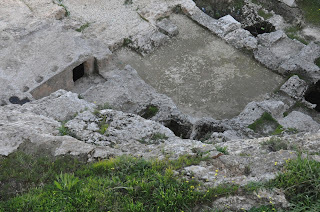 Reports are beginning to surface that the tomb of Judas Iscariot, betrayer of Jesus, has been discovered in the Hinnom Valley just outside of Jerusalem's old city! According to Acts 1:18-20, Judas purchased a field outside of Jerusalem where he committed suicide. Until now there was little if any interest in locating the tomb of Judas since many scholars assumed that his body was either eaten by wild animals or buried in a common dirt grave. Some even doubt whether Judas was a real person. But the discovery of this tomb will certainly renew interest in Judas as a historical figure as well in the gospel that bears his name. According to archaeologists the tomb was uncovered by a bulldozer clearing the way for a parking lot being built for a future Bible theme park. The park is the brain child of the Orlando, Florida based Holy Land Experience operated by the Trinity Broadcasting Network owned by Paul and Jan Crouch. The network recently purchased the land in order establish a second location for the popular theme park. Operators of the park believe that it will provide a more authentic pilgrimage for tourists visiting the Holy Land and will help cut down on the long lines typically experienced at the real holy sites. There are even rumors that a replica of the Jerusalem Temple will be erected on a hill overlooking the temple mount where the Dome of the Rock is located. At this point no one is sure if construction will continue on the park or if the area around the tomb will be blocked off and preserved while archaeologists study it. 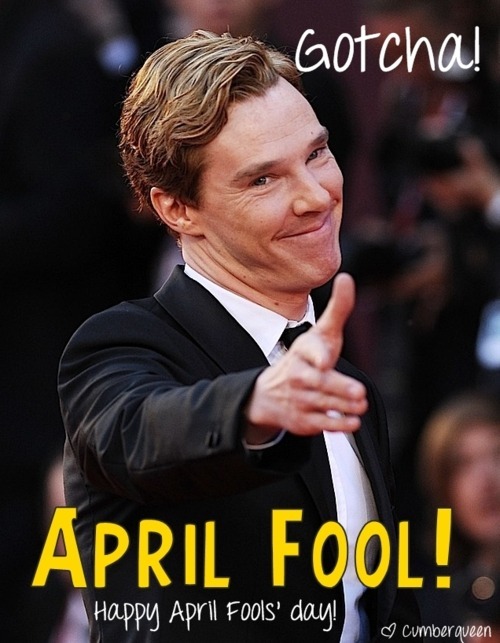 I suspect that there will be some lag time between the official announcement and the release of more information. But from what I understand, photos of the tomb have revealed a surprisingly rich and ornate final resting place for the most infamous traitor. The photos and the full story can be seen here. appreciation in New Testament circles for the promise of resurrection. Many Christians believe that death means we go to live in heaven for eternity. 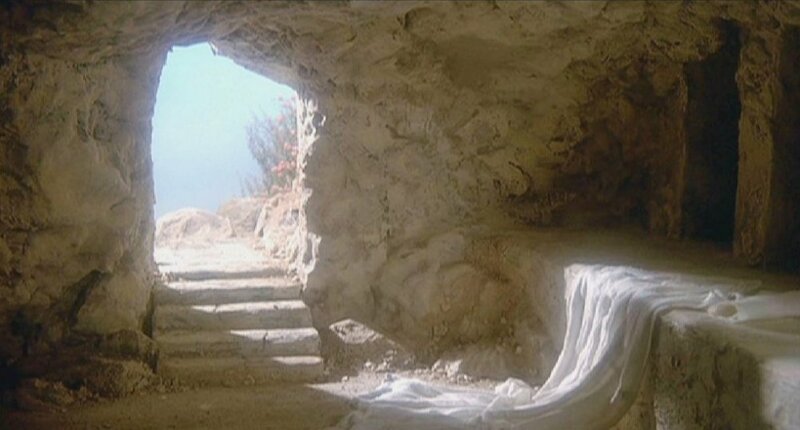 But the hope of resurrection is not that we go to heaven, but that we live again. The blog It is Written has a good summary of the New Testament hope of resurrection. Unfortunately, most Christians are confused about what scripture teaches about life after death. Imprecise language in the pulpit and popular worship music isn’t helping the situation much either. The hymn, “I’ll Fly Away,” is a perfect example of inaccurate eschatology, but most people know it far better than 1 Corinthians 15. Preachers are often fond of proclaiming their excitement about going to heaven. There is even a best-selling book describing a young boy’s description of heaven based on his near-death experience. As will become clear below, I’m not trying to discount Christian hope in life beyond the grave. I’m also not trying to deny that heaven is a place for believers, but I do want to clarify it in light of what Scripture teaches, "heaven" is not our ultimate destination. Most Christians think of heaven as the place you go to be with God forever after you die. Typically it is thought of as a city in the clouds where people spend time with God. But this is a terribly incomplete description of what the Bible teaches about life after death. It is a description of eschatology that ignores the significance of Jesus’ resurrection as the foundation of Christian hope.